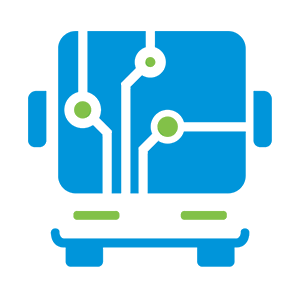 BusLogic ticket sales outside the bus is system that allows tickets sale in advance prepared locations such as Ticket Counter at the bus stations, separated facilities and other locations. Ticket sales outside the bus provide sales in two ways : Sales done with the help of an authorized person such as Teller and sales when the passenger has the ability to independently access and complete the purchase of tickets and other things. 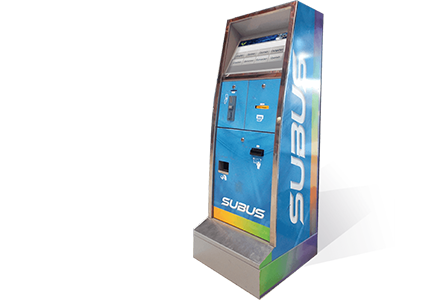 BusLogic Automated Kiosk - is the next generation of automatic machines for ticket sale at bus stations or stops . This machine is designed for passengers who wish to make a purchase of: reservations , tickets, credit supplements or get information about schedules , ticket prices or the position of vehicles while waiting at the bus station or bus stop. The machine itself has a large 19” touch screen which allows passengers easily choose the functions described above. The BL Kiosk is equipped with a banknote acceptor, coin acceptor, and a place provided for the insertion of electronic tickets, as well as the printer for printing paper tickets and bills.The machine has the ability to accept all types of paper banknotes or coins . If required, the Kiosk can return the change in all denominations of paper banknotes or coins.